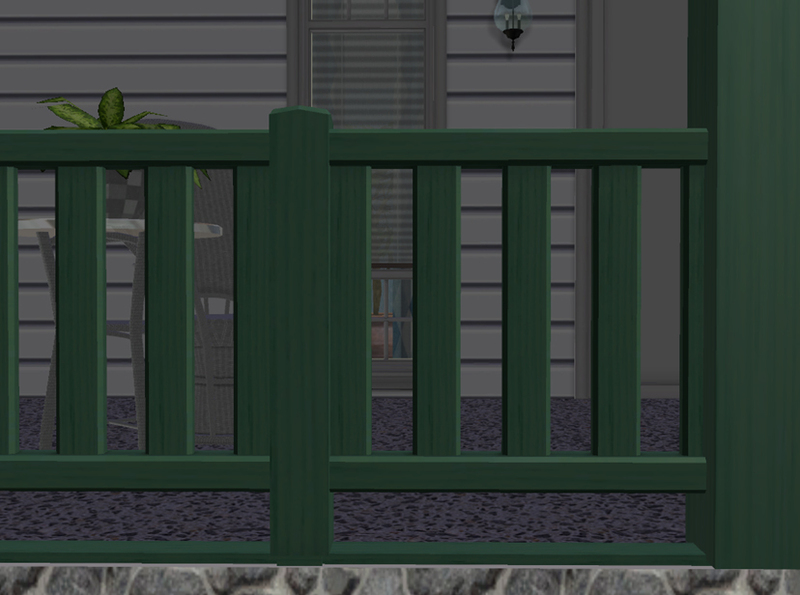 Just about 3 years ago I uploaded 7 Simple Fences that were part of a Blind Date gift to Ritaxis at Garden of Shadows. 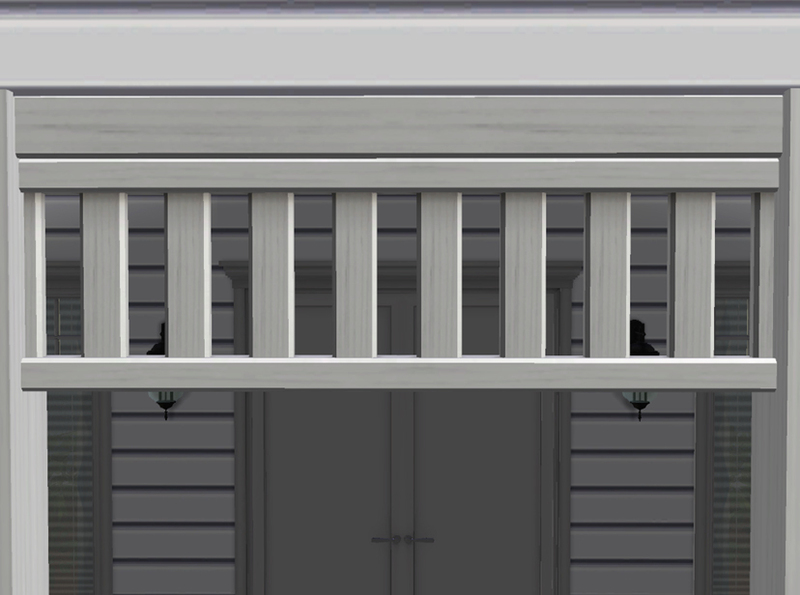 Around that same time I uploaded some porch trim to match Holy Simoly's Victorian Porch Set to my old tumblr. For the last almost 3 years I have been using those fences and that trim, whining to myself that neither matched any of the columns or stairs I always use. Sure, there are recolors that are close but not quite close enough. I decided to do something about that, so now I have 5 new fences, a new column, a decorative stair railing (for foundation height modular stairs only!) 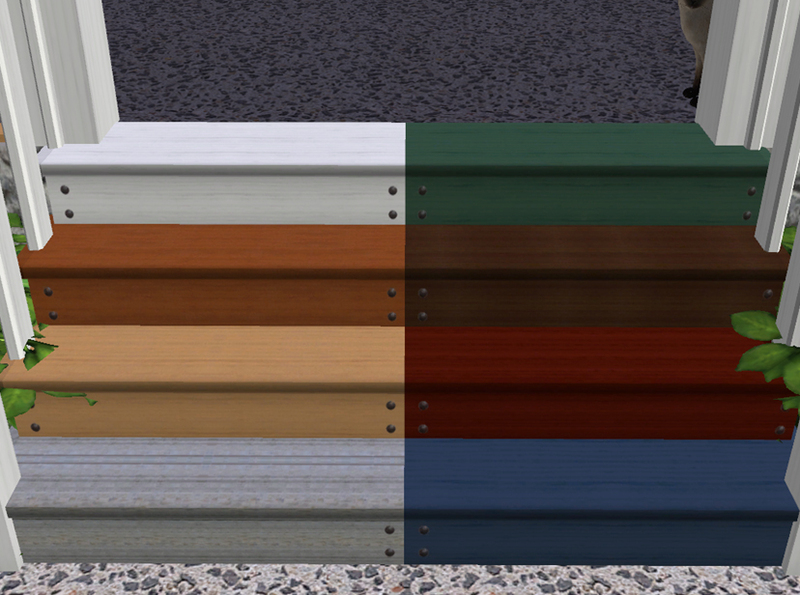 and stair recolors that all match. 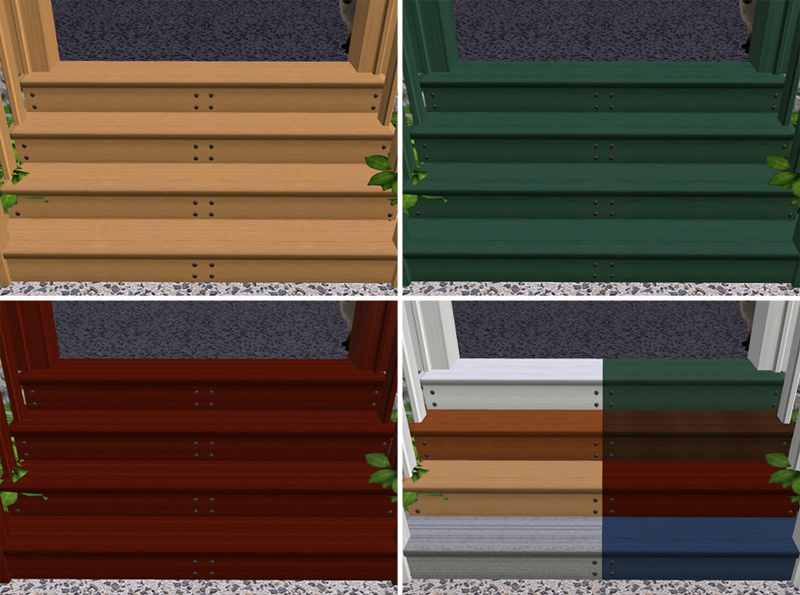 NOTE: I'm including the porch trim that was originally on my old tumblr - if you already have it you don't need to put this, and the recolors, in your downloads folder. I'm also including the original 7 fences, only 5 of them are new (see screenshot - those are blue, green, plain white, wooddk and woodlt). 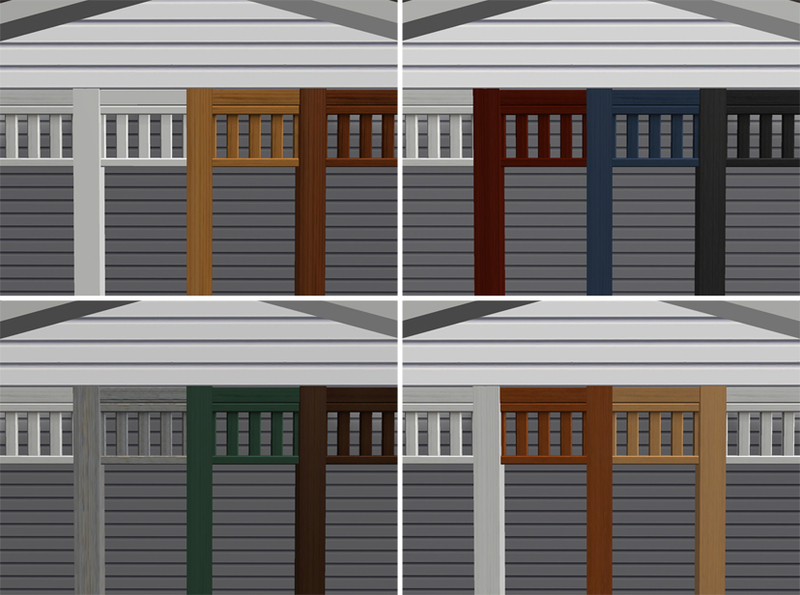 The trim, it's recolors and the original 7 fences are in a separate folder in the download. 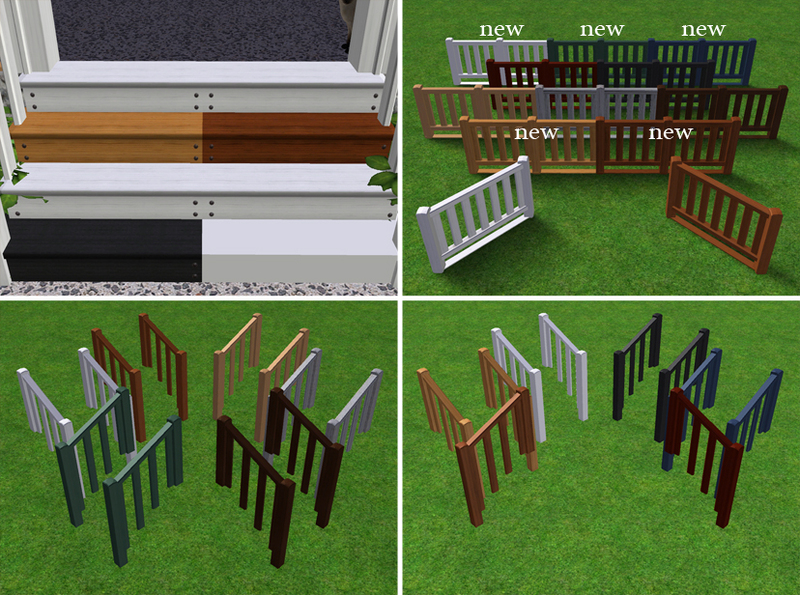 The decorative railing comes with invisible recolors for the railings - 1 for the left, 1 for the right. Also, since there are 2 subsets, you can mix and match the colors if you'd like. The column is placed in the corner and is sized to meet the upper floor; it is also sized to completely cover most fence posts. 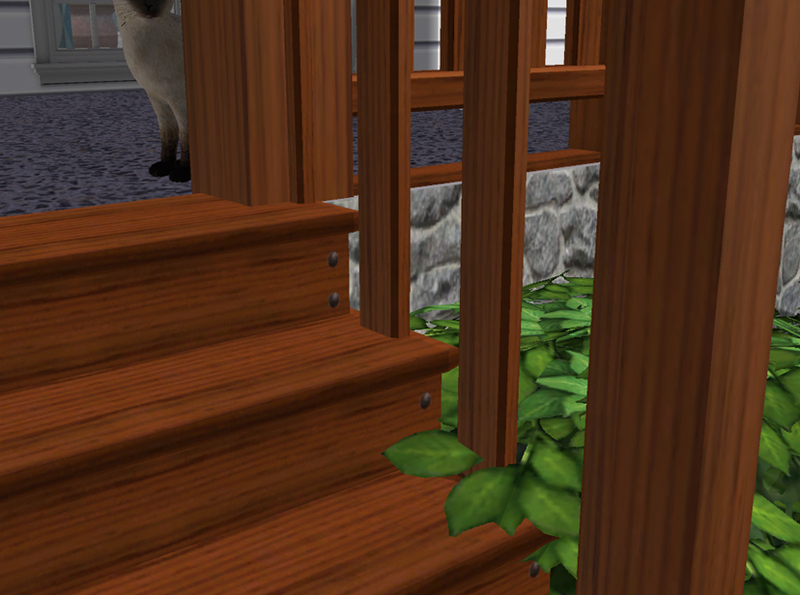 You need at least one expansion pack for the fences! It doesn't matter which one, you just need to have one! The fences all have new GUIDs so should never conflict with any other download you have. 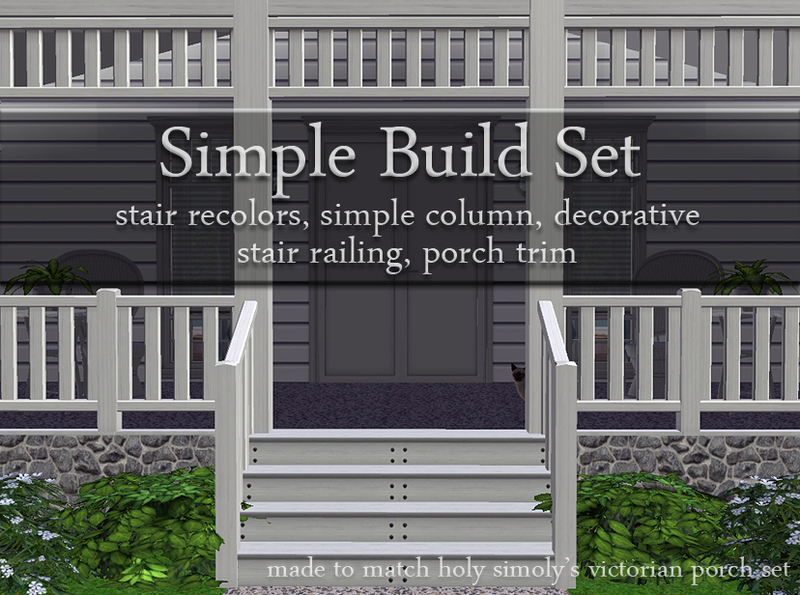 MLC-HolySimolyVictorianPorchMatchingBuildSet.rar | Description: Everything, meshes and recolors.